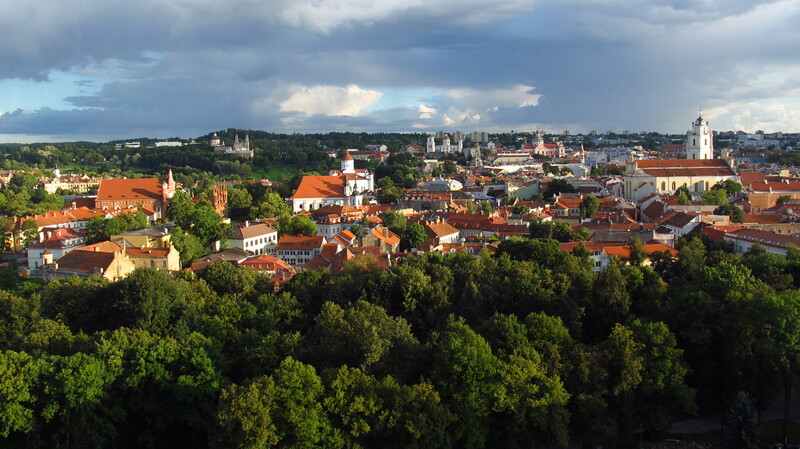 The weather was gradually getting better as we made our way south to the last of the Baltic republics, Lithuania, but there was still some rain before we got to Vilnius. The outskirts of the city and the roads looked a bit more like what I had come to expect from a country that had been on the other side of the iron curtain, but the city itself was modern and big, bigger than Tallinn and Riga, or at least it seemed to be bigger. 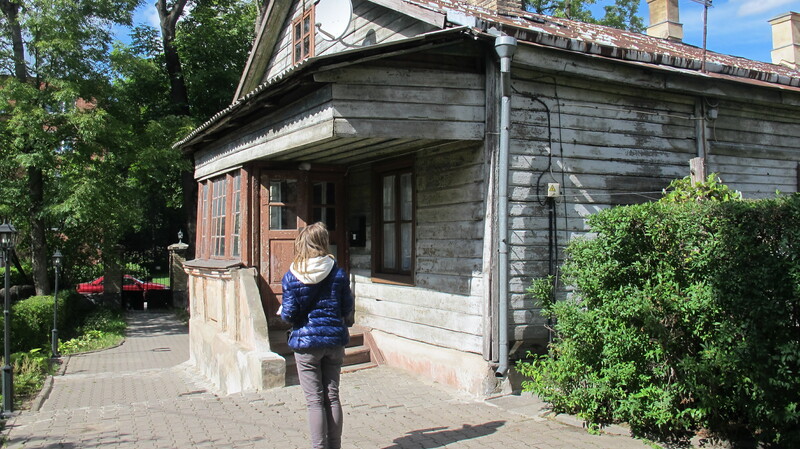 Like in Astrakhan, several old, traditional wooden buildings had survived in the center, and our hostel was one of them, or rather several of them – reception and some of the rooms were in the main building, and other rooms, including ours, were in older wooden buildings. We were able to park the bike in the courtyard, away from the street. Vilnius was probably my favourite of the three cities we had visited, as it combined what I had liked of the other two in the right measures – the old town was quaint and charming, but not artificially so, it was a lively place, with lots of very appealing little wine bars with terraces on narrow, cobbled alleys, it had big parks, tree-covered hills and a river and a canal flowing along the borders of the old town. We visited all of it, found a place where we had wonderful traditional Lithuanian food for lunch and on the way back to the hostel bought a bottle of white French wine that we drank in the hostel’s garden as it was getting dark. This entry was posted in Stroming The World 2013, Travel and tagged Vilnius, wine by Kilian. Bookmark the permalink.